John F Kennedy Airport (JFK) is the busiest of New York's three airports, with millions of passengers heading to or arriving from domestic and international destinations every year. JFK Airport is 15 miles (24 kilometers) from Manhattan Island in Queens - in the southeast area of New York - and is easily reachable by road or rail via extensive bus and train services. AirTrain JFK connects passengers at John F Kennedy Airport to New York's subway system, the hotel shuttle areas and the parking lots. It is located on Van Wyck Expressway which is close to three major highways, making it a convenient airport to drive to and from. New York JFK Airport used to have nine terminals but now has eight after the completion of Terminal 8 in 2007. Passengers get access to a comprehensive selection of dining, banking, shopping and business facilties and services at New York JFK's terminals and all are linked by the AirTrain JFK service. JFK Airport is one of the busiest airports in the US for shipping of international freight and more than 100 carriers use its four runways. 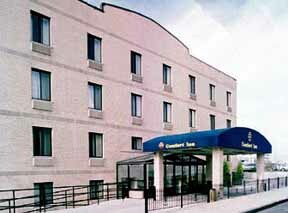 John F Kennedy World Airport Guide provides you with access to a complete selection of New York airport hotels. Utilize the discounts offered directly from the hotel, with the assurance of secure booking. Extra services include airport car rental, airport car parking, and flights to and from New York JFK Airport. Go to New York LGA airport guide.